Au travers de créations amusantes, le tout nouveau festival SPIELACT invite le public à se questionner et interagir sur des enjeux fondamentaux : le genre et la sexualité, la cité du futur et l’humain augmenté. Terrain de chasse pour Homo Ludens, Spielact rassemble plus de 50 artistes architectes, plasticiens, designers et musiciens qui joueront avec le public. Qu’il soit un espace imaginaire de liberté, d’interaction ou un vecteur de conditionnement, le jeu se déclinera en une série d’installations et de performances, de workshops et de retrouvailles nocturnes dans différents lieux de la ville de Genève. Creative Hub is the first national platform for the support of Swiss designers in the implementation and commercialisation of their product and business ideas. 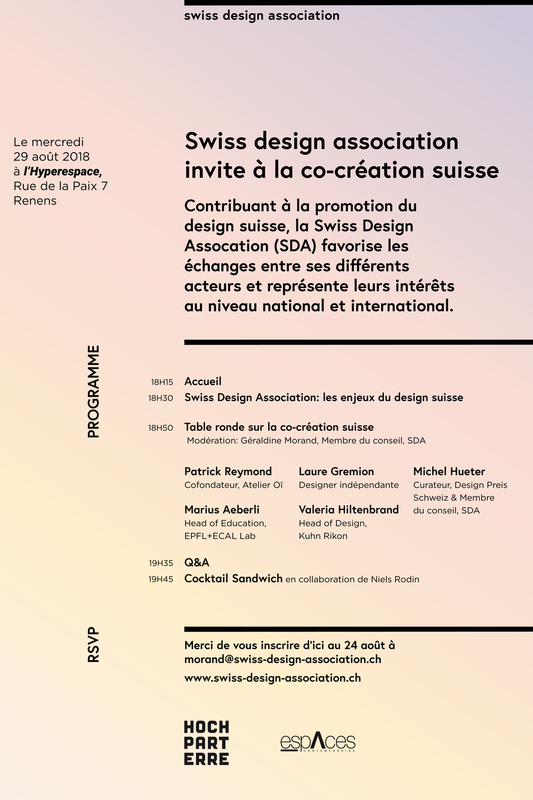 Creative Hub supports Swiss designers in the promotion and utilisation of their product, service and business ideas. Designers' Saturday still takes place where design is created – at 5 authentic production sites of the Langenthal design industry. The "designtour langenthal" gives exciting insights into the development of design products and their manufacture – a traditional feature of Langenthal and its surrounding area for over 120 years. Wie kann Design interdisziplinär agieren? Wie verstärken und verbessern wir den Austausch zwischen Herstellung und Design? Und wie überwinden wir die Sprachbarrieren und regionalen Unterschiede in unserem Land? 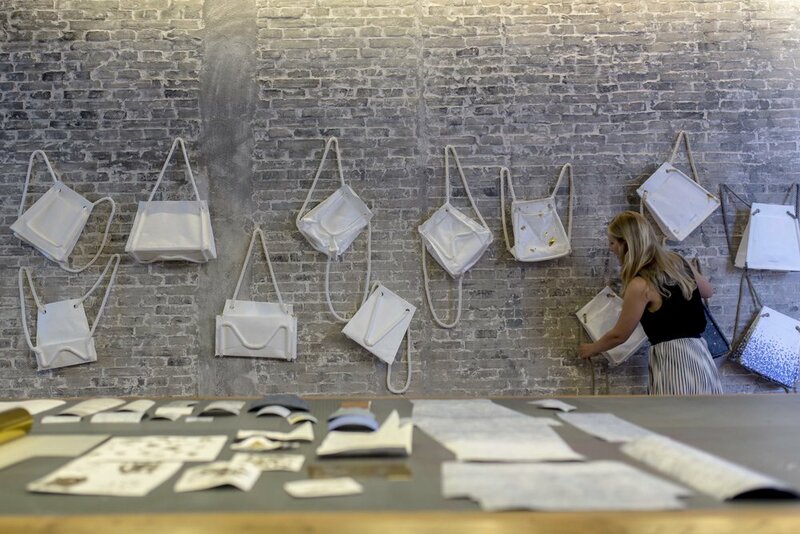 Ting is for sale at TUCRA, a new boutique which opened on the 12th of April 2018 at Gerechtigkeitsgasse 63 in Bern. At TUCRA, it's all about the individual. This takes the form of diverse home textiles, unique design pieces and works of art (and craft) of all sizes that will create inspiring accents in your home and make a real style statement. These are «Lifestyle Dots», carefully curated by TUCRA, presented in an inviting setting in Bern's old town district. The World Economic Forum is the International Organization for Public-Private Cooperation. The Forum engages the foremost political, business and other leaders of society to shape global, regional and industry agendas. The Forum strives in all its efforts to demonstrate entrepreneurship in the global public interest while upholding the highest standards of governance. Moral and intellectual integrity is at the heart of everything it does. 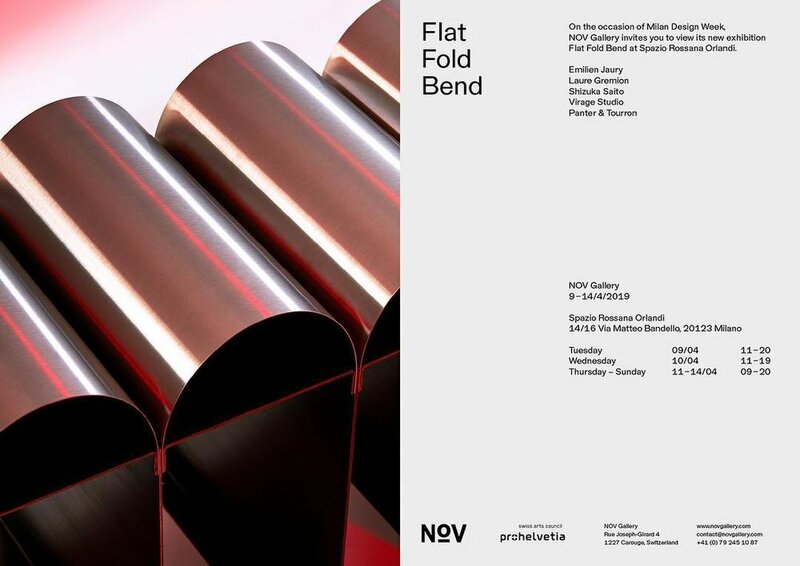 For the first time, Designer’s Saturday will feature an active format developed in collaboration with Pro Helvetia to link young Swiss designers directly to potential industry partners at the event, and also to provide a platform for exchanging experiences with experienced, established colleagues. The audience can look forward to exciting panel discussions, pitches, speed mentoring and prototype presentations by selected young talents. Business Ideas is an event organized by USI, SUPSI and CP-Startup; part of the federal Start-up Program supported by Innosuisse. This event is a half-day training course focused on Entrepreneurship and exclusively open to students of universities and universities of applied sciences and arts. The Ikea Foundation Switzerland has supported the discussion between the practical and the theoretical with trend-setting tasks in the sectors of architecture, design and arts and crafts for more than four decades. The foundation is pursuing this objective by providing grants to young talented designers from Switzerland who wish to follow a further education programme abroad. The foundation also awards financial grants to projects. Dans le but d’initier des collaborations inédites entre entreprises et designers de la région, l’ECAL, la HEIG-VD, l’EPFL, la Ville de Renens, Innovaud et Les Ateliers de Renens organisent des ateliers qui permettront d’imaginer comment améliorer l’offre d’un produit/service en utilisant les leviers du design. 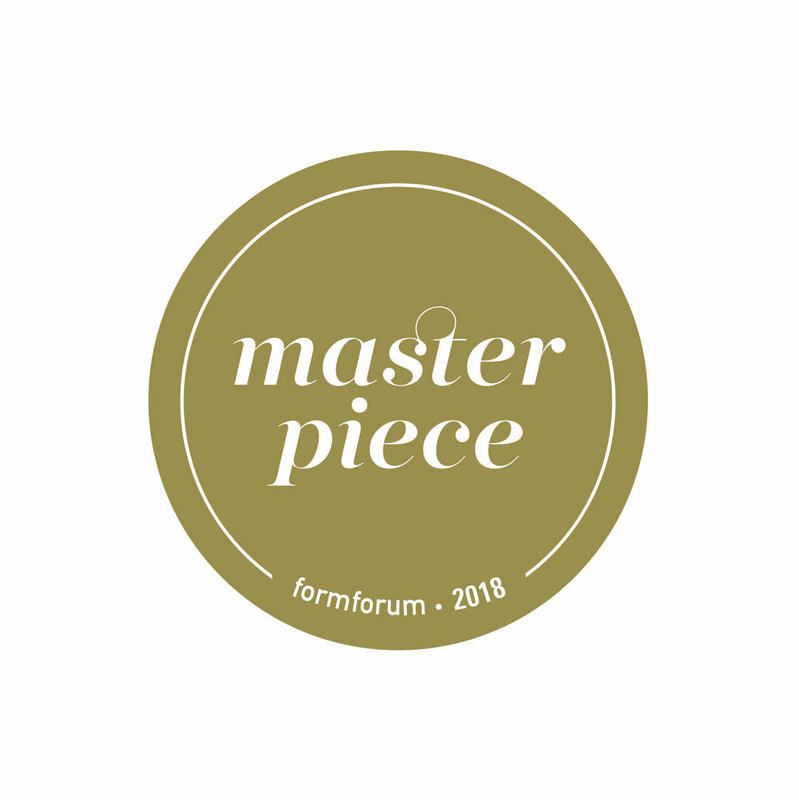 formforum honoriert mit dem Label formforum Masterpiece herausragende Arbeiten seiner Mitglieder aus den Bereichen zeitgenössisches Handwerk und Design sowie angewandte Kunst. Dieses wiederkehrende Gütesiegel wird für hochwertige gestalterische Qualität vergeben und bezieht sich jeweils ganz konkret auf ein eingereichtes Objekt eines Gestalters oder einer Gestalterin. Galleria Rossana Orlandi has been forecasting along the years new and upcoming designers and establishing the premise as one of the most revered platform for avant-garde Design and Lifestyle. Started her activity focusing on the rising dutch design wave with designers such Piet Hein Eek, Maarten Baas and Nacho Carbonell the research has moved widely around the world creating a catalog which reflects the most innovative scenes from Europe to Asia to America. The Swatch Art Peace Hotel artist residency is designed to bring together artists from around the world to to live and work in apartments and workshops for a period of three to six months. Dancers, musicians, photographers, filmmakers, writers, painters, conceptual artists, and many more creative individuals from around the world live and work in the Swatch Art Peace Hotel’s workshops and apartments and explore the contemporary arts in China’s most vibrant city.